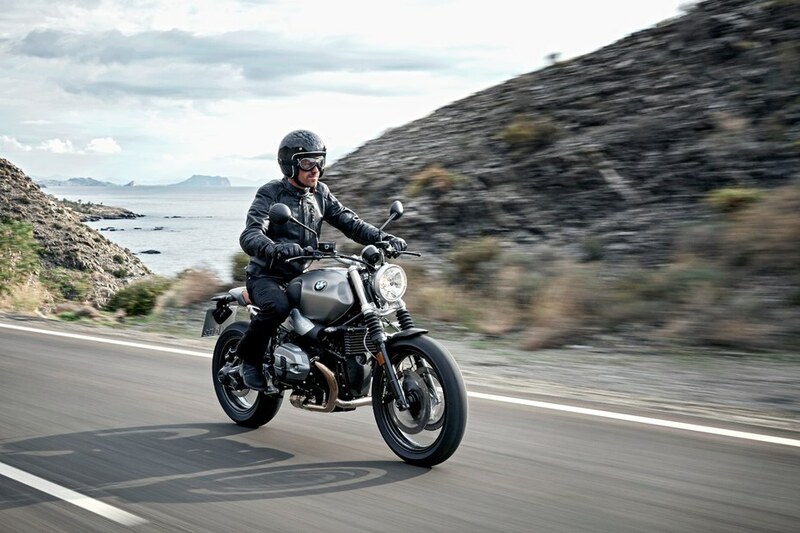 The German motorcycle maker, BMW Motorrad, has rolled out its latest BMW R nineT Scrambler at the 2015 EICMA in Milan. The retro style motorcycle, cosmetically, receives many changes that include raised handlebars, well-set foot pegs, a new exhaust setup, a round headlight and new seat unit. The other features that you can see in the R nineT Scrambler are a round instrument console, sculpted steel fuel tank, Metzler tyres, belly pan and retro-styled single unit seat. The motorcycle gets knobby tyres and spoke wheels that provide excellent ride quality on the uneven road. 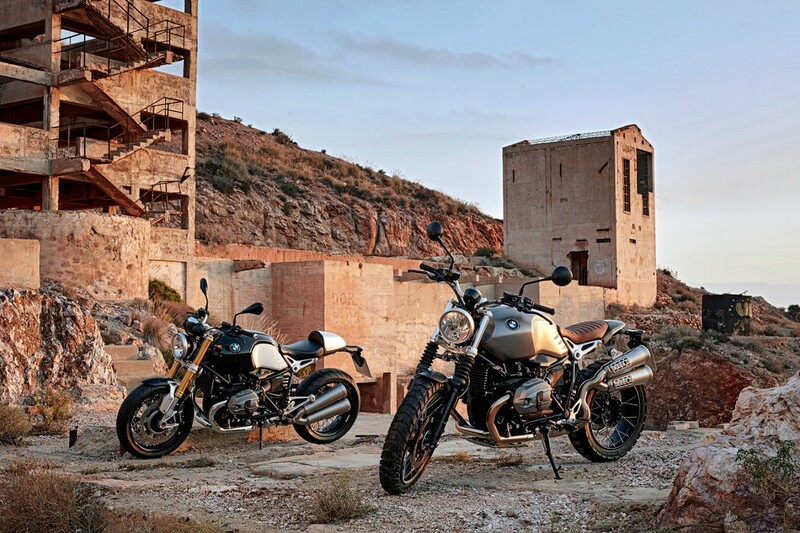 The R nineT Scrambler nicely designed on the tubular steel frame that endows excellent stability at the rough terrain. The body sits on front 4.9 inches travel telescopic fork and rear single-sided swing arm. The braking setup carries a front 320mm disc with four-piston calipers and a single 265mm disc with two-piston floating caliper. The Anti-lock Braking System is standard on the R nineT Scrambler. The seating position is pretty upright as the nineT Scrambler is featured raised handlebar and well-set foot pegs. 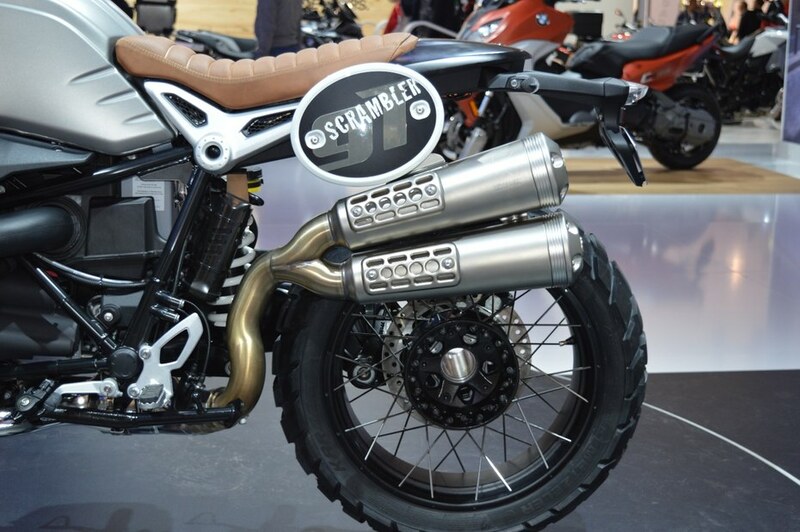 The R nineT Scrambler is powered by the same 1170cc air-cooled Boxer twin motor that also powers the standard R nineT. Moreover, the motorcycle features a new engine mapping and updated fuel system that help in the increased power output. The 1170cc motor returns 110 BHP of power and 116Nm of torque. The new BMW R nineT Scrambler will come in Monolith Metallic color that finished in blacked-out bits. The price and launching date have not been comforted yet.